You’ve come a long way, Alice B. Toklas. You’ll forgive the pun, but perhaps you remember Alice’s famous recipe for “hashish fudge,” which she published in her cookbook, released in 1954 — still one of the best-selling cookbooks ever. 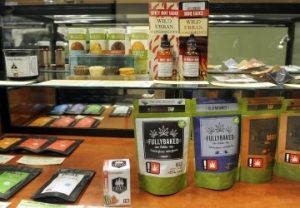 These days, with the legalization of medical and recreational marijuana in many states — including, of course, here in Oregon — edible pot products are increasing in variety, popularity and sophistication. With 28 states now allowing medical marijuana, and more ramping up with recreational pot — California, Maine and Massachusetts are in line — momentum is building. And the good news is that with increased standardization, marijuana munchers are able to monitor what they would like to take, as opposed to buying that brownie from a stranger at your local rock show. Edibles offer many benefits over smoking or vaping, but there are some considerations that even experienced THC users need to keep in mind. 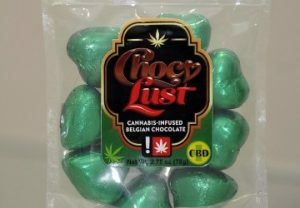 A marijuana edible is a cannabis-infused product containing cannaboids (both THC and CBD) that you can eat or drink. 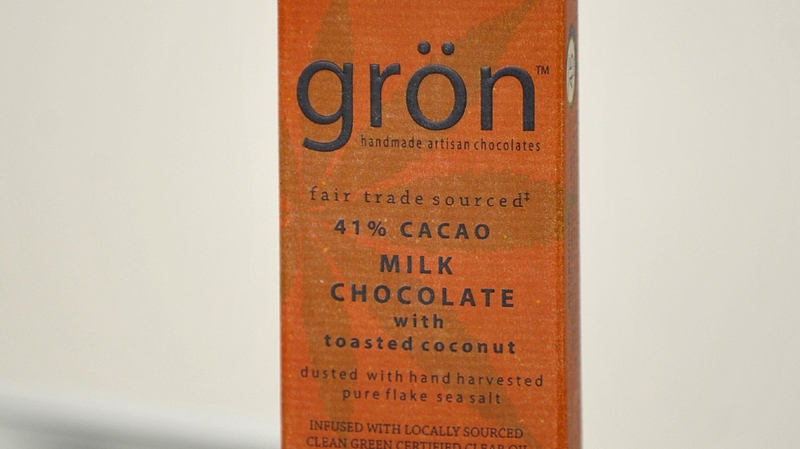 It can be added to virtually any food, from brownies to candies to more upscale cuisine. Perhaps the most important benefit of edible pot is that you avoid the negative side effects of smoke in your lungs. While studies are inconclusive, and many say that smoking marijuana is actually safer than cigarettes, the point is it’s likely not great for your lungs and “ages” you faster — with wrinkles and visible signs. Another positive aspect is that edibles are low-visibility. You can take them on picnics or hikes without drawing a spotlight to yourself. And for those with a fear of flying? How about a few discreet gummies on your flight? Face it, sparking in the bushes may still be cool for the new generation, but it may not be your style. Another benefit regards the nature of the effects. Smokers inhale THC, which enters the lungs, then the bloodstream, then the brain. It’s a quick, strong effect and also leaves quickly. Edibles enter your digestive tract and are processed through your system at a slower pace. The result? Without getting into all the chemical explanations, because of the way your body processes the edible, you will get a stronger and more sustained effect. Once you are used to the proper amount, it’s a very dependable buzz. Smoking can have an effect in seconds or minutes, while it usually takes 30 minutes to two hours for edibles to kick in, creating a buzz that can last from three to 12 hours. The market for munchable pot is pretty impressive. Financial reporters and analysts at Bloomberg estimated in 2016 that “edible weed” may be half of the $5.4 billion marijuana business … yes, that’s right, we’re talking billions. But it’s also an interesting market that is sort of up for grabs. Even a casual user or reader may have heard of rapper and entrepreneur Snoop Dog’s brand, Leafs by Snoop (he’s also heavily invested in a marijuana delivery service) or Tommy Chong (for those of us who suffered through the Cheech and Chong movies) and, of course, that original space cowboy, Willie Nelson. At the same time, there is a growing trend that might be akin to when microbreweries were starting out. 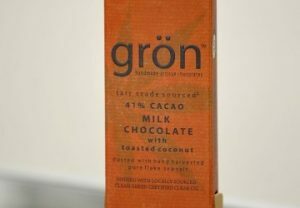 Here in Oregon, we have many edibles that are made within the state and use the best of our chocolate, herbs and local ingredients. At this point they come mainly from Bend and Portland, but no doubt local entrepreneurs will jump in and take advantage of Southern Oregon’s abundance. Other state providers that have picked up numerous awards include Lunchbox Alchemy, makers of the touted Shrapnel brand — small edibles in different flavors that taste great. Another product you might appreciate is a delicious ice cream from Drip Ice Cream in Portland, which comes in flavors such as Salted Caramel and Lavender Honey (yum!). It comes in different doses so you can pick the one right for you. Rogue Raw, another local edible provider, distributes Bare Bars and other treats in various dispensaries, including Rogue Valley Cannabis and Talent Health Club. You can’t have failed to notice that many dispensaries are sprouting up in Medford like … um, mushrooms. Because of city regulations, Medford was slow on the uptake, and more established concerns are to be found throughout Southern Oregon. However, whichever dispensary you choose, you will be in for a pleasant visit. The spaces are clean, the staff of every one I’ve visited — including Breeze Botanicals in Gold Hill and Ashland, House of Leaves in Ashland, La Mota on Riverside and Rogue Valley Remedies on South Pacific Highway — have been friendly and well informed, and you’ll be able to get lots of advice on what edible would work best for you in terms of strength or effect. • Smoking is different than edibles. People who are used to smoking THC need to understand that it’s a different type of feeling. A high tolerance for smoking does not translate to edibles; because of the different ways your body processes THC, it’s a dissimilar experience that may take some getting used to. • Edible effects are different for everyone, related to your body type, weight and metabolism. • Keep in mind the dosage. There have been numerous cases of people taking too much, either because the edibles were so good, or they were impatient while waiting for it to kick in and decided to eat more. This was perhaps most famously detailed by New York Times columnist Maureen Dowd, who wrote about her own bad experience. The lesson here is to ask the experts behind the counter what a reasonable start for you should be (Dowd apparently failed to do this). Also look at the packaging and you’ll find good information there, as well. And trust the dispensaries, who often go the extra mile. “We’ve helped people through their first experience,” says Plotner. She says Facebook and other social media have actually helped her with customers who have bought edibles and perhaps left town or just needed a helping hand. • Keep the edibles away from your children … and others! This seems like a no-brainer, but it’s the case of the hand in the cookie jar … children are naturally drawn to candy, cookies and treats. 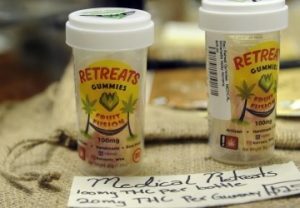 Dispensaries have state-mandated child-safe bags, but if there are enough edibles (like gummies) that you can’t use at once, there are resealable bags, as well. Always put your edibles in a safe place. • “Start slow and go low,” is the mantra of Laura Lagano, a nutritionist and co-founder of the Holistic Cannabis Academy in Boulder, Colorado, echoing similar advice I got from local sellers. This simply means finding the edible that’s right for you, starting in small doses (perhaps 2 mg) and measuring how it affects you. And, hey: Read the instructions. Most edibles (from candy bars to gummies) will have labeling that recommends a starting point. Another great idea? Keep a non-infused chocolate bar or ice cream handy. That way, you won’t double-dip and get into trouble if you get the munchies. The future seems unlimited for herbal edibles. One of the problems, however, is that due to federal regulations, the infusion is not allowed in many foods, leaving the majority of the items “sweets” such as cookies and candies. “I’d like to see more health-conscious edibles,” says Plotner, who points out that many customers have issues with sugar, especially those using for medical reasons. This is where tinctures are a great way to keep your diet healthy but still get the desired effect, she says.